All the applique shapes were cut using Appli-K-Kutz dies (click HERE to see the dies) and the shapes were cut using my Sizzix Big Shot machine. Isn’t it the most wonderful feeling to finish a project that’s been dangling for a long time? Better yet, now I can make something else just for the fun of it! Today begins the Dog Days of Summer Sale at Craftsy! All classes are up to 50% off, so this is one of the biggest sales that Craftsy holds all year. 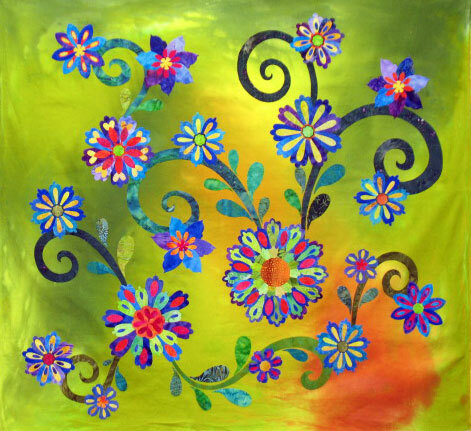 Follow this link to see all the classes that are on sale from now through 8/11/14. 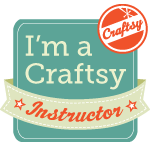 Don’t miss this chance to sign up for all those Craftsy classes that are making you drool! Filed under Craftsy!. Comments Off on Huge Sale on Craftsy Classes! That last block is much prettier in real life than in this photo. The flowers are all made in purples and blues but the photo doesn’t distinguish between these colors. (The background is grey, too, my new experimental color.) Do you see that blank space in the center of the block? If you know me, you know it won’t stay blank for long! The nice part about the way I do MEA is that it allows me the freedom to “drop” any design into whatever place on a block that I wish. 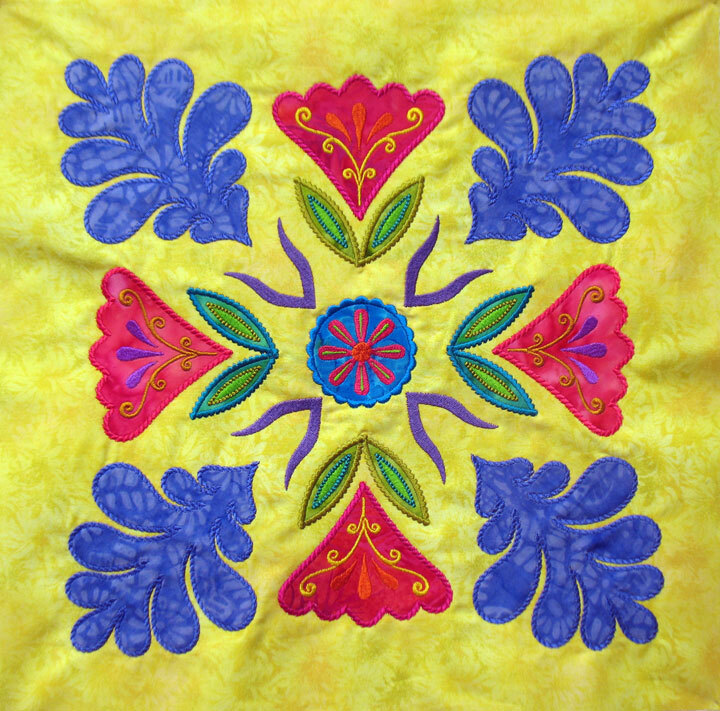 in this case, it would be very easy to plop a trapuntoed quilt design (stitched on the embroidery machine) right into that empty space…stay tuned!